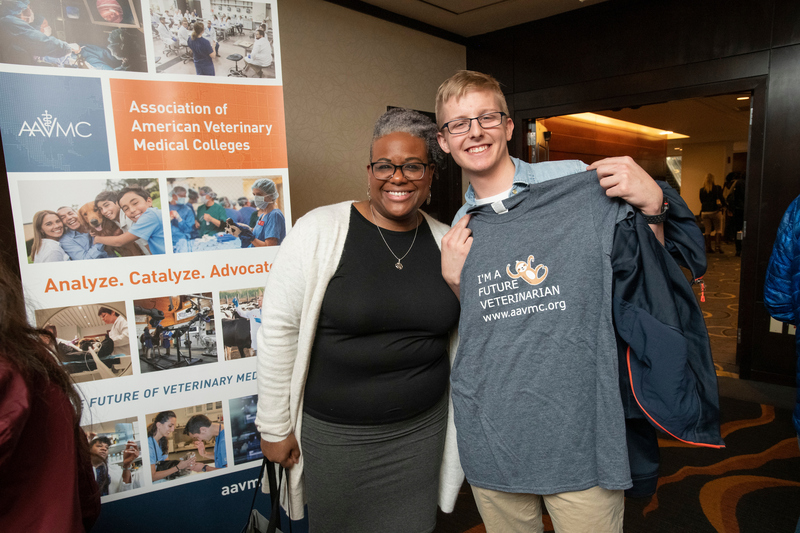 Washington, D.C., March 28, 2019 - About 300 prospective veterinary medical students and guests converged in Washington D.C. on March 10 for the AAVMC’s 2019 Veterinary Medical Career Fair and Information Sessions. The event was free for any high school or undergraduate student with an interest in the veterinary medical profession and featured representatives from about 25 veterinary medical schools who provided information and answered questions. The event kicked off with a session on “I Love Veterinary Medicine: A Journey of Unlimited Possibilities,” by veterinarian Dr. Quincy Hawley. Hawley told the attendees about how he grew up surrounded by animals but never considered a career in veterinary medicine as a youngster. Eventually, however, “I fell in love with the veterinary profession,” he said. That led to a varied career where he has worked in diagnostic laboratories, as a veterinarian for Banfield Veterinary Hospitals, and now as the co-founder of Get MotiVETed, LLC, where he and his team help veterinary hospitals, organizations, and individual members of the veterinary community to stay motivated and empowered to live fulfilling personal and professional lives. Hawley inspired the prospective veterinarians with tales of his “amazing career and experiences working with so many different species,” from chickens and cows, to sloths, goats, llamas and reptiles. He has also worked with agencies like the United States Department of Agriculture (USDA) and Elanco Animal Health. Through diverse experiences he’s met people from six different continents. As an example, he outlined his struggles to try and obtain a veterinary internship experience as a student. After six consecutive rejections, he learned about a USDA internship at a Career Fair, landed the internship and found a mentor. That led to other fascinating internships, including one that he developed himself at a Jaguar Rescue Center in Costa Rica. 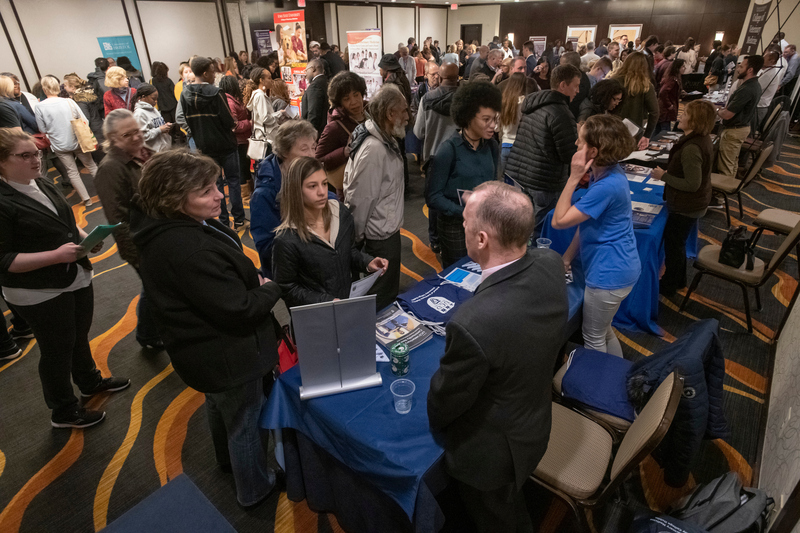 After the information sessions, students and their parents moved to the exhibition hall where they met with school representatives, asked questions and picked up informational materials about schools, admissions requirements, and veterinary careers. Aspiring veterinarians could obtain information from representatives of about 25 veterinary medical schools.